A dozen years before the influx of refugees and migrants to Europe’s shores would force policymakers to take heed, Michael Winterbottom’s 2002 docudrama In this World brought the inside story of international migration to the big screen. In charting the risky, clandestine journey to Europe of two Afghans – the teenage Jamal and 30-something Ineyatullah from the Shamshatoo Refugee Camp in Pakistan’s northwest – the film demonstrates the simple but not uncontroversial truth: Jamal and Ineyatullah are at once refugees and migrants. Like so many immigrants, they simply seek a better life, one of freedom, opportunity and dignity. At the same time, these Afghans are also refugees – people displaced by conflict and poverty – seeking a better life. Michael Winterbottom’s 2002 film ‘In This World’ follows the journey of two Afghans trying to make it to Europe. From languishing in Peshawar and nearly suffocating in the back of a truck during the crossing into Europe, to working without papers in London, theirs is a story of displacement, struggle and marginalisation. It’s also a story of the economic and political borders that fence people in. Transcending these invisible frontiers requires taking inordinate risks. For Ineyatullah, doing so cost his life. Jamal’s tale has a happier ending: after applying for asylum in England , he was adopted by a British family who’d seen Winterbottom’s film, finally giving the boy a place to call home. June 20 is World Refugee Day, a time to reflect on not just refugees but on those people who, like Jamal and Ineyatullah, are both refugees and migrants. The day of commemoration comes at a historic moment: for the first time ever, all United Nations member states are working together to develop two new global compacts . The first is on shared responsibility for refugees and the second on more humane, coordinated and dignified approaches to governing global migration. The project began in September 2016, when the UN adopted the landmark New York Declaration to forge a coordinated architecture for global governance of both refugees and migrants within two years. Both compacts are scheduled for completion by 2018. For them to work, policymakers must consider the many millions of people currently in transit whose situations confound the conventional demarcation between refugee and migrant. Under international law, the rights of refugees – those forced to leave their country because of war, persecution or natural disasters – are enshrined in the 1951 Convention for Refugees and its subsequent 1967 protocol . People who are perceived to have pulled up stakes by choice, on the other hand, lack any comprehensive global rights or protections. Migrants do benefit from the Universal Declaration of Human Rights , which was signed in 1948 to respond to the refugee flows resulting from the second world war. But beyond some basic protections, many displaced people today defy the parameters used by policymakers to define who is entitled to what rights. And this legal limbo puts many migrants in grave danger. All people who cross international borders without papers, whether they are Central Americans riding the trains through Mexico to get to the United States or Ethiopians escaping hunger in unseaworthy dinghies, face myriad risks. They include the underworld of smugglers, inhumane treatment by authorities and the mental and physical dangers of invisibility and exploitation. A recent article in the Guardian , for example, reported that criminal gangs in Libya have been holding hundreds of migrants to ransom. Since 2015, the waters of the Mediterranean have been replete with such traumas, as migrants and refugees from sub-Saharan Africa, Somalia, Ethiopia and Eritrea to Pakistan, Bangladesh, Syria and Afghanistan try desperately to get to Europe. Some of these people may well fit the legal definition of a refugee. Others have set off on their dangerous journeys as economic migrants, in pursuit of jobs and opportunities. Too many never make it. 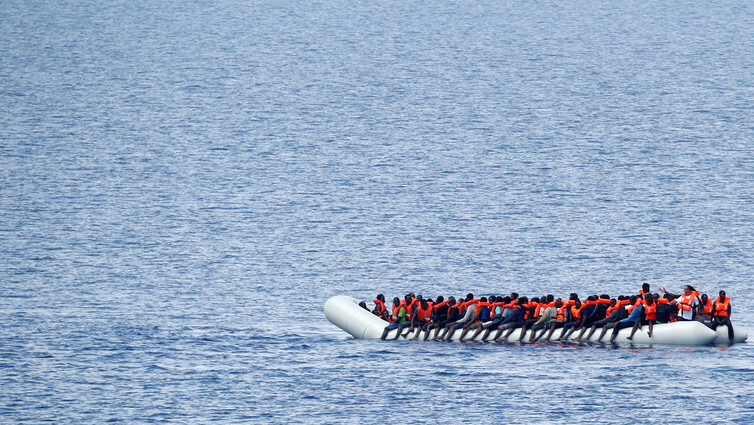 In 2016, it’s estimated that over 5,000 people died crossing the Mediterranean, highlighting the dire need to offer some form of humanitarian protection to migrants, legal status aside. Minors are among the most poignant examples of this quandary. Take Abdallah, now 19. In February 2017, he was being supported at the Bayt al-Thaqafa Foundation in Barcelona, an organisation that helps resettle young immigrants. A decade ago, when he was just nine years old, Abdallah’s family in Morocco made a choice for him about his future. His uncle smuggled him from a village in the Rif mountains into the Spanish colonial city of Ceuta. Abandoned on the streets, Abdallah begged for several weeks until he was picked up by local authorities. After spending some time in a centre for minors, he was sent to Barcelona, where he lived the next nine years in a residence for children who, like him, who had crossed an international border without papers. Over time, peers and mentors there replaced Abdallah’s family back home. He learned Spanish and Catalan, learned computer skills and earned a high school degree. On his 18th birthday, time ran out. His residency permit allowed Abdallah to stay in Barcelona, but not to work. It was Spain’s legal right to send Abdallah back “home” to a family he no longer remembered well. But where is home, really, for someone like Abdallah, who spent his formative years far from his birthplace through no choice of his own? And what obligations do countries have to protect these young people? "In the first place, we don’t like being called ‘refugees’…. We did our best to prove to others that we were just ordinary immigrants…. We wanted to rebuild our lives, that was all." That same idea fuels the struggle of displaced persons today. Whether driven by hunger, violence or poverty, they arrive in their host country hoping to become ordinary – different in ethnicity and culture, perhaps – productive citizens. As the UN and its member states aim to tackle the policy needs of human mobility in its entirety, developing one compact each for refugees and migrants, let them not forget that millions of migrants and refugees experience blurred and interconnected situations, and everyone is just seeking a place to call home.